I love reading ARCs (Advanced Reader Copies). I remember the first time I was approved for a book on NetGalley last fall and freaking out. But at the same time, ARCs can be really overwhelming. That’s why I’m trying to cut back on ARCs. If you’re like me, then you’ll go on NetGalley and request any book that looks slightly appealing. I admit, I kind of have a problem when it comes to this. There was one day that I think I requested like 15 ARCs? So you know, I’m obviously done doing that. When it got to a point where I was reading more ARCs than books I actually really wanted to read, I knew that I needed to stop requesting ARCs. Or just cut back on ARCs completely. Recently I’ve been trying to catch up with all my ARCs, but there is still a lot. What I want to do is get my feedback ratio up higher before I start going crazy with ARCs again. I’ve decided I’m not going to stop requesting them all together, just only requesting the ones I really want to read. The books that fall into this category are: diverse, anticipated releases, and ones that actually sound really interesting. I’ve definitely been requesting a lot of diverse books lately, but also a few anticipated releases. I’m the type of person who will see a pretty cover and request the ARC without even knowing what it’s about. So yes, I am for sure done doing that. I really want to look into the books a bit before requesting them. I mean, you don’t even get accepted for every ARC, at least I don’t. But I do get accepted for most of them. So even if a few of the books I request I’m declined for, I still find myself with a bunch of other books. But lately I have also DNF’d (did not finish) a few ARCs. I will either start one and get bored and put it down, but sometimes I will also get pretty far into it and DNF it in a more tradition sense. For example, I recently stopped reading both Blood Rose Rebellion and Sophie Someone. If I payed more attention to the ARCs I was requesting, I feel like this wouldn’t happen as much. I want to start reading more reviews on them to try and decide if it’s really the book for me. That way if I get accepted for it, then I most likely won’t DNF it. I don’t like DNFing books, and not finishing ARCs kind of gives me a sense of guilt almost. I know it shouldn’t, yet it still does anyway. Another thing is that I have a huge physical TBR (to be read) that just keeps piling up. Before I started requesting ARCs, that TBR was much more manageable. Now I feel like it will be ages until I ever get through those books and the ARCs. The thing with ARCs also is that publishers expect you to read them before the publication date, so you’re kind of more pressured to read them quickly. You don’t get to sit back and relax and read the next book in that series you’ve been dying to finish because you have to read those other books first. Sarah over at Sarah’s Book Shelves wrote a really interesting post on this back in May of 2016. I actually found it while writing this one. She talked about all the ARCs she’s read and the percentage of them that she DNF’d, were successful, and were unsuccessful. I thought it was really interesting to see the numbers like that. It kind of made me think more about the ARCs that I have DNF’d and also that have been “successful” or “unsuccessful”. Basically the main takeaway of this post is that I want to request less ARCs and focus more on my own reading and being able to read those ARCs that I’ve really been wanting to. If you have any tips on this topic, please let me know! 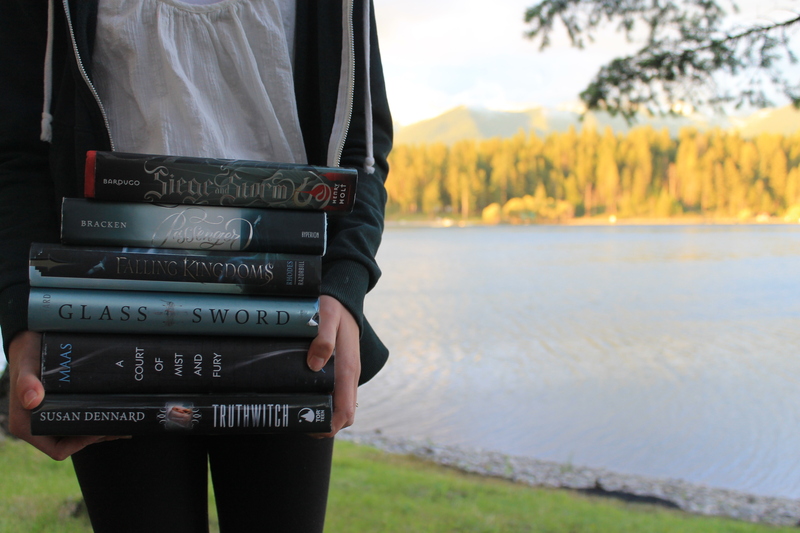 Do you read and request lots of ARCs? Is it hard for you to get through all of them as well? Have you been trying to cut back on ARCs, or no? Please let me know your thoughts on this topic in the comments! For some reason, this post didn’t show up on my Reader, and I must have missed it on Bloglovin’! I hate when that happens. But, yes, I definitely feel you! I requested a lot of ARCs on Netgalley, and I have SO MANY to read now. Not like I’m complaining, since some of them come out during the fall as well, and I’m excited for pretty much all of them, but they can definitely stack up faster than you think they would! And, yeah, I feel like I’m missing out on so much of my TBR, because I’m either reading a newly released book or an e-ARC, even though I have so many backlist books I want to read! I’ve had a related problem lately! For me, a big part of it is that I’m reading a lot less than I thought I’d be able to, so it went from being a good balance to being almost all ARCs in order to catch up. I haven’t requested anything recently, and I’m not going to until I’m much more caught up in writing reviews. Also – I do leave feedback on NetGalley even if I don’t finish a book. I’ll say I tried it and why it wasn’t working for me. That way my feedback ratio stays high. I figure, if I’m at least giving every ARC I get a chance, then that’s all they can ask for. Hope your ARC cutback works for you!